Join Michele for this unique and fun Block of The Month. 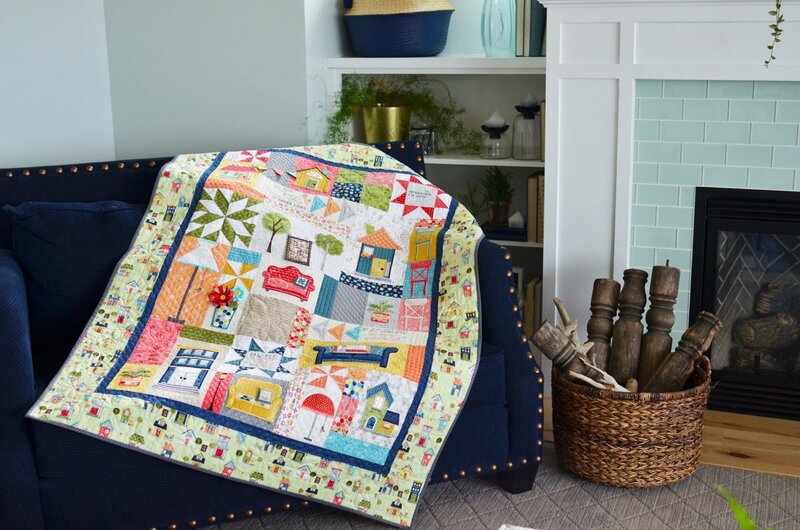 Each month you'll put together a fun block (or two) as you work your way thru the 9 months to complete this beautiful appliqued (in the hoop) quilt. Must Purchase the embroidery book Make Yourself at Home prior to class. Make Yourself at home book and kits available at ASC. A kit is available for $129.99. 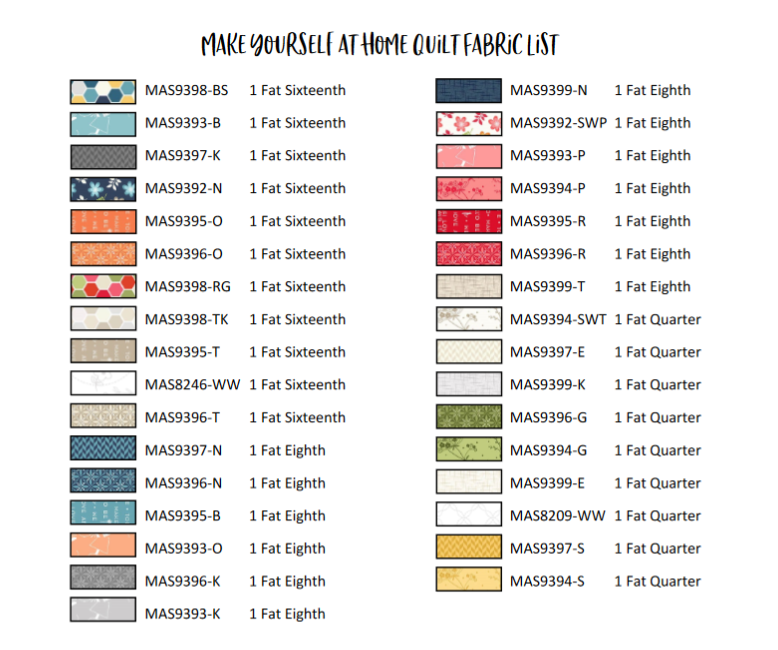 Kit includes all fabric listed below.